This keynote was delivered today at ICDE 2015 in Sun City, South Africa. The slides can also be found on Speakerdeck. The obnoxious American: I am the one who flies all the way to South Africa, to an international education conference, to talk about the future of ed-tech as imagined, as invested in, as narrated by America. I apologize. My intention is to invert the script that I hear drawn upon so often from education technology entrepreneurs who talk about “Africa” – code, I think, for “new markets.” I do want to explore the origins of the ed-tech industry’s drive for “new markets.” But really I want this morning to talk about ideas, stories about the future – from California specifically, from Silicon Valley. What I hope to make explicit today is how much California – the place, the concept, “the dream machine” – shapes (wants to shape) the future of technology and the future of education. According to my driver’s license, I am a Californian, although not by birth. 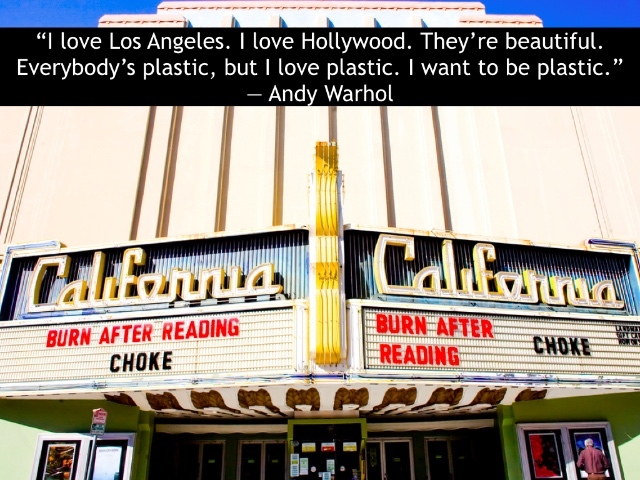 I grew up in Wyoming and in England, neither of which share much in common – politically, culturally, geographically, economically – with Los Angeles, where I live today. I never ever imagined this would be my life: a writer about education technology, invited to speak here in South Africa. In Sun City. 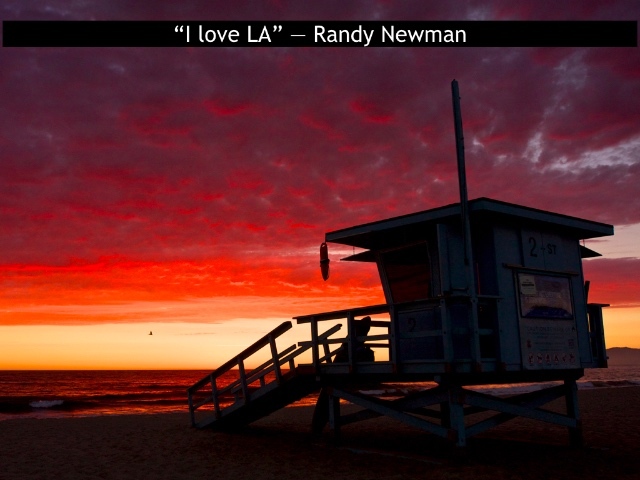 And I never ever imagined I would live in LA. 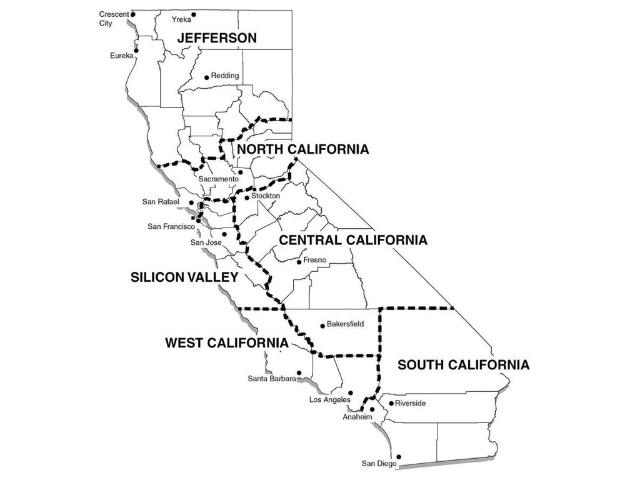 The first two nodes of what would eventually become ARPANET (which in turn would eventually become “the Internet”) were connected in California in 1969 – from the University of California, Los Angeles (UCLA) to SRI International in Menlo Park – from Hollywood to Silicon Valley. The infrastructure and the ideology of the Internet remain quite Californian. The world economy is going through a massive transition right now. The knowledge economy is the future. By bringing everyone online, we’ll not only improve billions of lives, but we’ll also improve our own as we benefit from the ideas and productivity they contribute to the world. Giving everyone the opportunity to connect is the foundation for enabling the knowledge economy. This is a revealing definition of “human rights,” I’d argue, particularly as it’s one that never addresses things like liberty, equality, or justice. It never addresses freedom of expression or freedom of assembly or freedom of association. Technology critic Evgeny Morozov has described this belief as “Internet-centrism,” an ideology he argues permeates the tech industry, its PR wing the tech blogosphere, and increasingly government policy and thus our public and our private lives. “Internet-centrism” describes the tendency to see “the Internet” – Morozov uses quotations around the phrase – as a new yet unchanging, autonomous, benevolent, and inevitable socio-technological development. “The Internet” is a master framework for how all institutions will supposedly operate moving forward. “The Internet” will purportedly change everything. “The Internet” will fix everything. Researchers have found too that in certain countries, a number of people say they do not use the Internet yet they talk about how much time they spend on Facebook. According to one survey, 11% of Indonesians who said they used Facebook also said they did not use the Internet. A survey in Nigeria had similar results: 9% of Facebook users there said they do not use the Internet. In other words, Facebook is “the Internet” for a fairly sizable number of people. They know nothing else – conceptually, experientially. And, let’s be honest, Facebook wants to be “the Internet” for everyone. This matters greatly for those of us in education technology in several ways (and not simply because Internet.org has partnered with edX to offer free online education). Facebook is really just synecdochal here, I should add – just one example of the forces I think are at play, politically, economically, technologically, culturally. 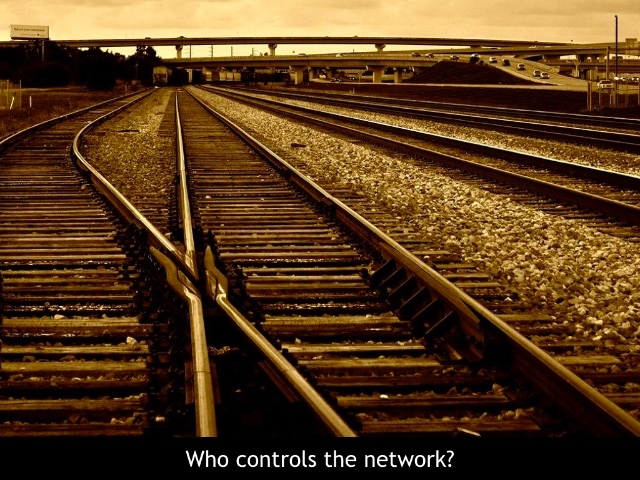 These forces matter at the level of infrastructure, technological infrastructure: who controls the networks, who controls the servers, who controls our personal devices, who controls the software that’s installed on them? And it matters at the level of ideology. Infrastructure is ideological, of course. 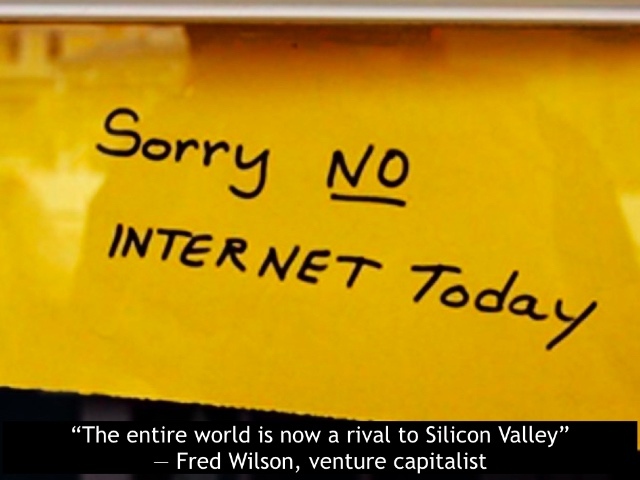 The new infrastructure – “the Internet” if you will – has a particular political, economic, and cultural bent to it. It is not neutral. Some of this is built upon old infrastructure. In the United States, for example, networks are layered upon networks: waterways provided the outline onto which we mapped the railroads. Railroads provided the outline onto which we mapped the telegraph. The telegraph for the telephone. The telephone for the Internet. Transportation of people, products, ideas across time and space. This infrastructure matters. In this case, this is a French satellite company (Eutelsat). This is an American social network (Facebook). Mark Zuckerberg’s altruistic rhetoric aside, this is their plan – an economic plan – to monetize the world’s poor. The content and the form of “connectivity” perpetuate imperialism, and not only in Africa but in all of our lives. Imperialism at the level of infrastructure – not just cultural imperialism but technological imperialism. And as always, imperialism as ideology. Empire is not simply an endeavor of the nation-state – we have empire through technology (that’s not new) and now, the technology industry as empire. Mark Zuckerberg is not from California, of course. He was born in White Plains, New York. He attended the elite boarding school Philips Exeter Academy before being accepted into Harvard University, where he famously built a site called “Facemash” which would let students pick who they thought was the best looking person from a choice of pictures taken from the university’s “Face Books,” books containing the names and photos of everyone in the dorms. He dropped out of school in his sophomore year. He moved to Silicon Valley. “The Silicon Valley Narrative,” as I call it, is the story that the technology industry tells about the world – not only the world-as-is but the world-as-Silicon-Valley-wants-it-to-be. “The Silicon Valley narrative” does not neatly co-exist with public education. We forget this at our peril. This makes education technology, specifically, an incredibly fraught area. Here’s the story I think we like to hear about ed-tech, about distance education, about “connectivity” and learning: Education technology is supportive, not exploitative. Education technology opens, not forecloses, opportunities. 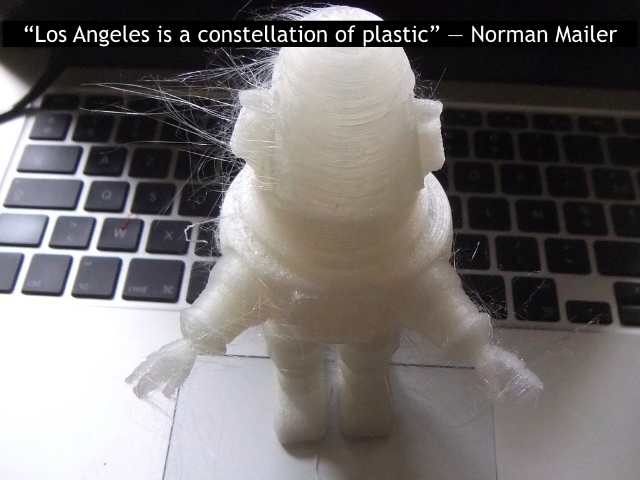 Education technology is driven by a rethinking of teaching and learning, not expanding markets or empire. Education technology meets individual and institutional and community goals. Sticklers about geography will readily point out that the Silicon Valley isn’t the most accurate descriptor for the locus of today’s booming tech sector. 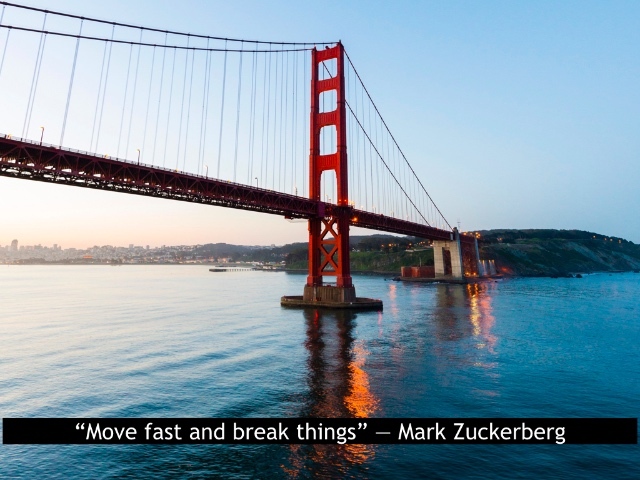 Silicon Valley is just one part of the San Francisco Bay area – the Santa Clara Valley. The Santa Clara Valley’s county seat and the locus of Silicon Valley (historically at least) is San Jose, not San Francisco, where many startups are increasingly located today. 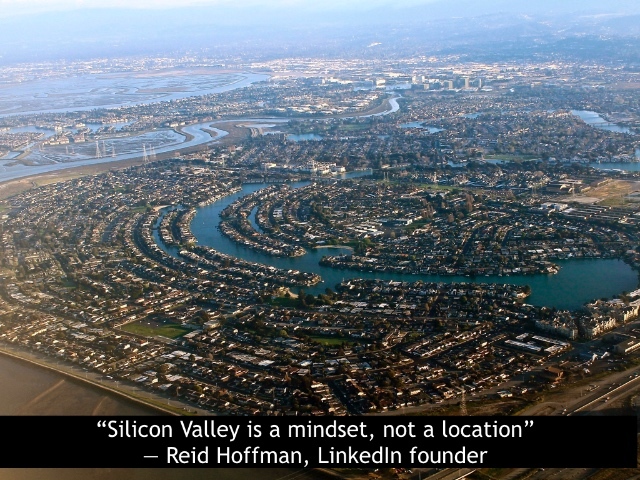 Silicon Valley does include Mountain View, where Google is headquartered. It includes Cupertino, where Apple is headquartered. It includes Palo Alto, home to Stanford University, founded in 1885 by railroad tycoon Leland Stanford – remember what I said about new networks built on top of old networks? The term “silicon” refers to the silicon-based integrated circuits that were developed and manufactured in the area. But the term “Silicon Valley” now extends to all of the high tech industry, beyond just the chip makers. As the phrase has come to encompass a broader swath of the tech sector, “Silicon Valley” might no longer be adequate, simply for geographical reasons alone (that is, it’s not where all the tech startups or their investors reside). And the phrase surely obscures the international scope of the operations of the technology industry – tax havens in Ireland, manufacturing in China, and so on. The “Silicon Valley narrative” obscures, erases – let’s keep that in mind. 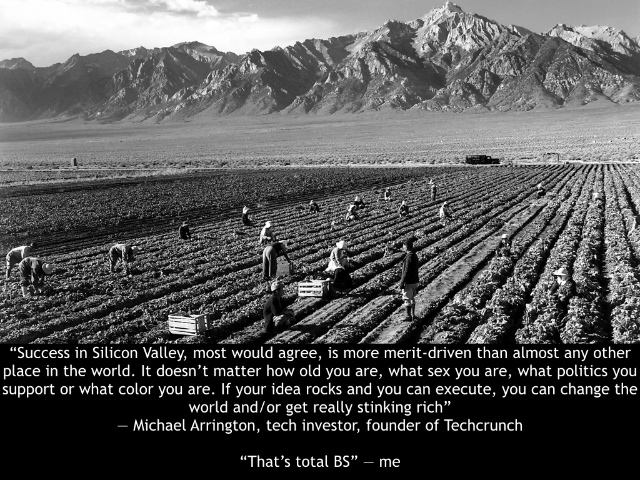 If “Silicon Valley” isn’t quite accurate, then I must admit that the word “narrative” is probably inadequate too. Yes, I’m particularly interested in the stories we tell about technology – its past, present, and future. I am interested in the ways in which our discursive practices shape the way we move through the world – what we build, what we buy. We tend not to see education technology as ideological. (No doubt, we largely fail to scrutinize the ideology of education as well.) We do not recognize the ways in which education technology can, as Selwyn argues, “accommodate … agendas (from the countercultural to the commercial) with little sense of incompatibility or conflict.” We tend to not see technology as ideological – its connections to libertarianism, neoliberalism, global capitalism, empire. At the end of the twentieth century, the long predicted convergence of the media, computing and telecommunications into hypermedia is finally happening. … At this crucial juncture, a loose alliance of writers, hackers, capitalists and artists from the West Coast of the USA have succeeded in defining a heterogeneous orthodoxy for the coming information age: the Californian Ideology. 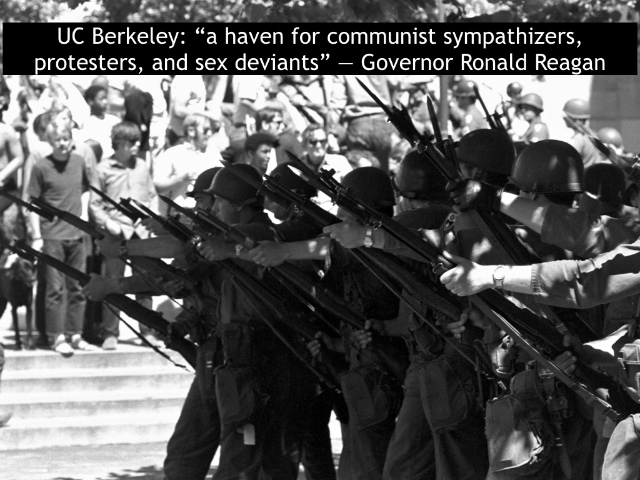 The widespread appeal of these West Coast ideologues isn’t simply the result of their infectious optimism. Above all, they are passionate advocates of what appears to be an impeccably libertarian form of politics – they want information technologies to be used to create a new ‘Jeffersonian democracy’ where all individuals will be able to express themselves freely within cyberspace. However, by championing this seemingly admirable ideal, these techno-boosters are at the same time reproducing some of the most atavistic features of American society, especially those derived from the bitter legacy of slavery. Their utopian vision of California depends upon a willful blindness towards the other – much less positive – features of life on the West Coast: racism, poverty and environmental degradation. Ironically, in the not too distant past, the intellectuals and artists of the Bay Area were passionately concerned about these issues. California. California as the promised land, the end-of-the-road of the US’s westward expansion, the fulfillment of Manifest Destiny, colonization upon colonization, the gold rush, the construction of an invented palm-tree paradise. 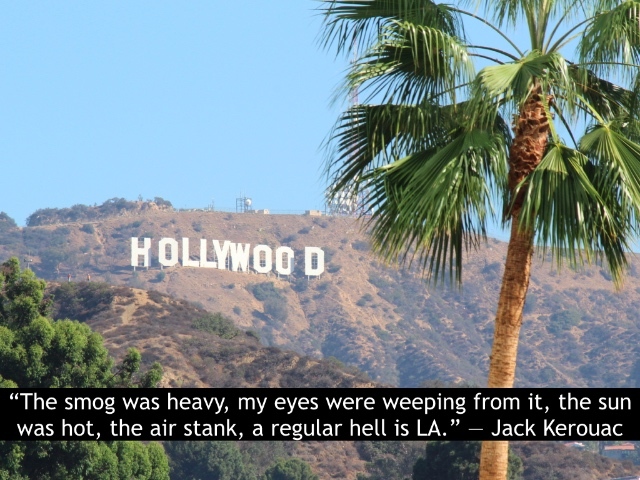 California includes geographically – ideologically – both Hollywood and Silicon Valley. California is media plus technology, both of which readily export their products (and narratives and ideologies) globally. California: the center of a new computer and communications empire and the center of the old media empire too. 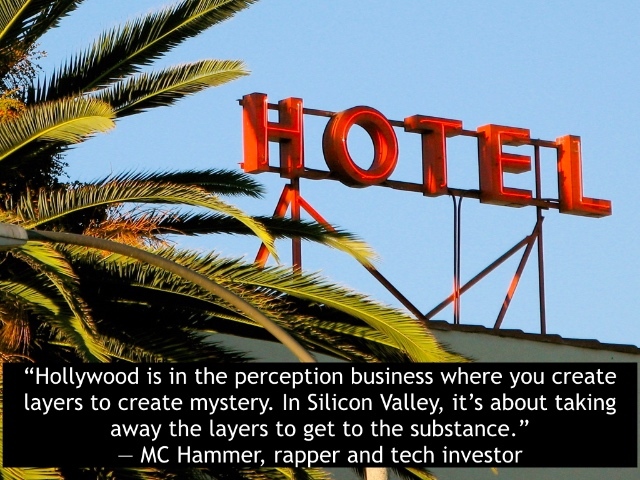 The power Hollywood has yet to be displaced, despite all the talk of disruption you hear from Silicon Valley. California also produces two-thirds of the United States’ produce. Over a third of the nation’s farmworkers work in California; 95% of them were born outside the US. The California ideology ignores race and labor and the water supply; it is sustained by air and fantasy. It is built upon white supremacy and imperialism. As is the technology sector, which has its own history, of course, in warfare and cryptography. In theory and to a significant extent in practice, anyone from anywhere in California could, if they worked hard enough, get a bachelor’s degree from one of the best universities in the country (and, therefore, in the world), almost free of charge. The pronounced social and economic mobility of the postwar period would have been unthinkable without institutions of mass higher education, like this one, provided at public expense. The tech industry is just the latest to latch onto this argument. “Everyone should learn to code,” we now hear. And as the state of California – and elsewhere – has withdrawn its financial commitment to free or subsidized public higher education, who has stepped in to meet the demands? The for-profit sector. And the tech industry is latching onto this market as well. So far this year, some $3.76 billion of venture capital has been invested in education technology – a record-setting figure. That money will change the landscape – that’s its intention. That money carries with it a story about the future; it carries with it an ideology. I want to show you this map, a proposal – a failed proposal, thankfully – by venture capitalist Tim Draper to split the state of California into six separate states: Jefferson, North California, Silicon Valley, Central California, West California, and South California. 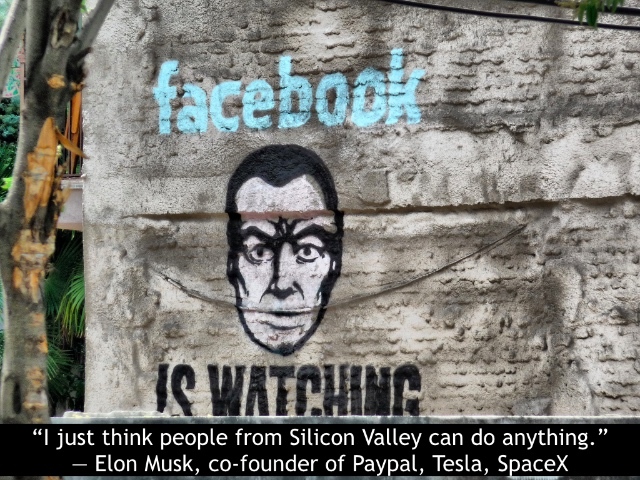 The proposal, which Draper tried to collect enough signatures to get on the ballot in California, would have created the richest state in the US – Silicon Valley would be first in per-capita income. It would also have created the nation’s poorest state, Central California, which would rank even below Mississippi. Tim Draper is not a particularly active VC in education technology. But he is the founder of Draper University of Heroes, an unaccredited for-profit venture that teaches “innovation” and “entrepreneurship” – a “7-week immersive program to inspire and train heroes,” according to the website. “Heroes” who will pay $10,000 so they can be tech startup founders. Draper University is also the subject of a reality TV show. Because California. We in education would be naive, I think, to think that the designs that venture capitalists and technology entrepreneurs have for us would be any less radical than creating a new state, like Draper’s proposed state of Silicon Valley, that would enormously wealthy and politically powerful. When I hear talk of “unbundling” in education – one of the latest gerunds you’ll hear venture capitalists and ed-tech entrepreneurs invoke, meaning the disassembling of institutions into products and services – I can’t help but think of the “unbundling” that Draper wished to do to my state: carving up land and resources, shifting tax revenue and tax burdens, creating new markets, privatizing public institutions, redistributing power and doing so explicitly not in the service of equity or justice. Echoes of imperialism. Imperialism’s latest form. It’s our responsibility to recognize that it offers a powerful story. 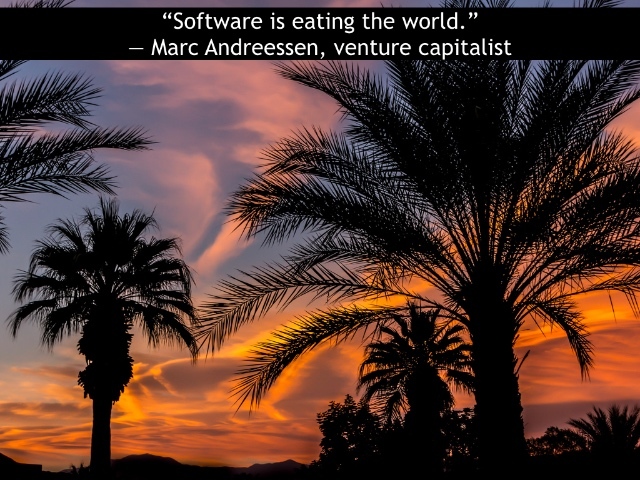 When a venture capitalist says that “software is eating the world,” we can push back on the inevitability implied in that. We can resist – not in the name of clinging to “the old” as those in educational institutions are so often accused of doing – but we can resist in the name of freedom and justice and a future that isn’t dictated by the wealthiest white men in Hollywood or Silicon Valley. This need not be our “dream machine,” this invented California, this California invention. We can do better. We must.